by honoring God and serving people. Serving our customers by consistently delivering our brand promise. Serving our associates by providing opportunity for personal growth and success in achieving their God-given potential. Serving our suppliers by engaging in mutually beneficial relationships. Serving our community with charitable sharing of our time, knowledge, finances, and through social responsibility that fosters environmental, economic, physical, mental, and spiritual sustenance of individuals and communities worldwide. Serving all stakeholders with demonstrated leadership and commitment to excellence, continuous improvement and the highest moral and ethical principles of business. 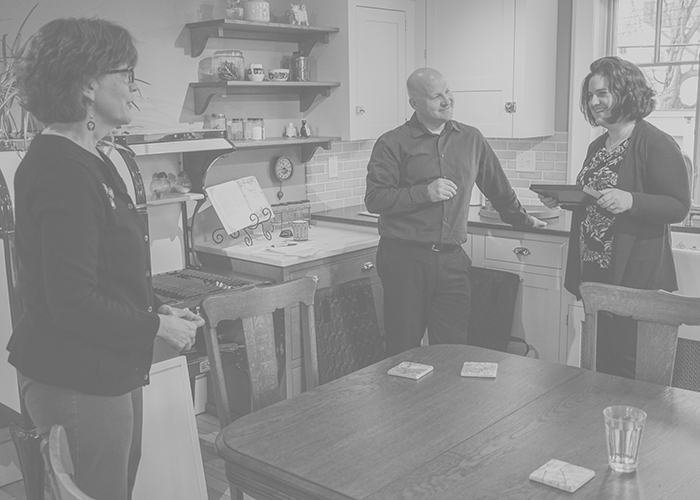 Signature associates demonstrate a mastery of the craft and have a desire to care for and serve others, treating others as we would want to be treated. At Signature we encourage and support each other in pursuing the development of our God given skills and talents thus achieving our greatest potential. When we perform to our greatest potential we create value for our customers, giving us a competitive advantage in the marketplace. We value customers and suppliers who also share these qualities, as we seek to nurture long-term relationships built on this standard of excellence. Integrity is doing what we say we will do even when nobody is watching. It’s about other people trusting us and is something we earn by our actions and words. At Signature, integrity is the honest, fair and consistent caring for others. It is facing moral obligation, sharing responsibility for the well-being of all stakeholders and acknowledging the enabling grace of God in every situation. The relentless pursuit of excellence. This applies to every human interaction, every product and service provided, each and every time. “First Time Quality” (FTQ), a Signature hallmark, requires clear, documented expectations and people working together to achieve common goals. Our commitment to quality will result in delighted customers, generating referrals that drive growth and profitability. Fueled by the drive to serve, innovation at Signature will be born out of our ability to listen and solve problems. We will passionately explore new thoughts and ideas in study, dialogue, trial and error. Mistakes should evidence learning, a pre-requisite to success. Competency requires knowledge, inspires trust and demands positive results. Demonstrated through discipline, strong execution and accountability, at Signature, the truly competent envision an even better future by embracing the Signature Performance System to pursue continuous improvement. Performance is the comprehensive ability to deliver on our vision, mission, core values and brand position. Our performance sets us apart from our peers, our extraordinary performance standards create the benchmark of excellence we strive for.